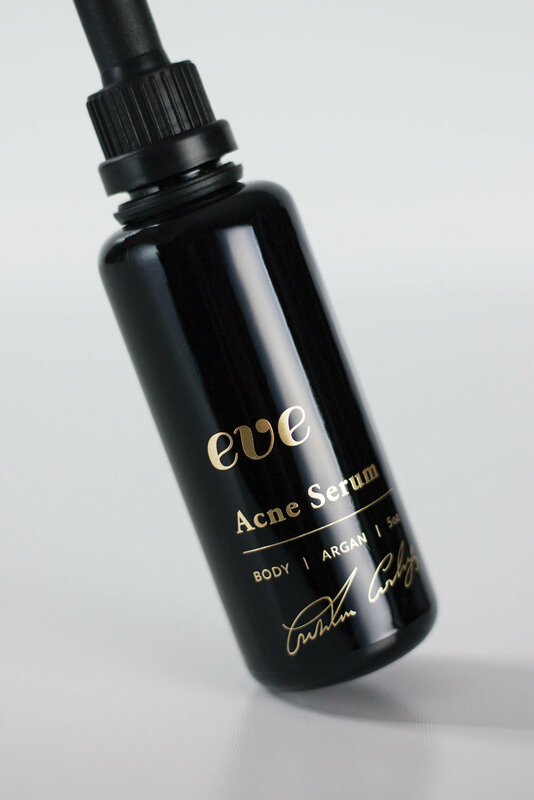 Eve is a luxury beauty line that caters to a wide range of customers, and it is sold within the Fauna flagship store. Eve's glass vessels are made from premium recycled materials that feel both durable and elegant in your hand, giving each product substance while satisfying your desire to be environmentally friendly. Black and gold packaging is simple and sophisticated, designed to compete in a saturated makeup market. 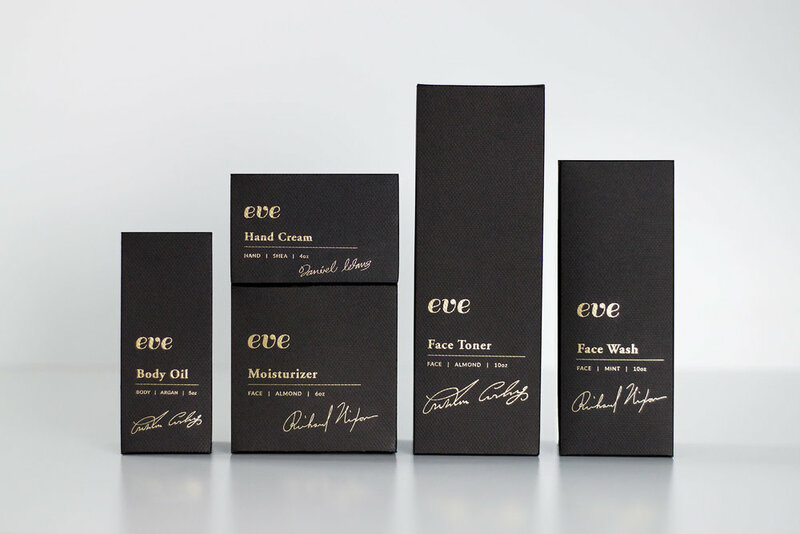 Each Eve beauty product was created in partnership with an expert cosmetologist, and the packaging reflects this with individual signatures. 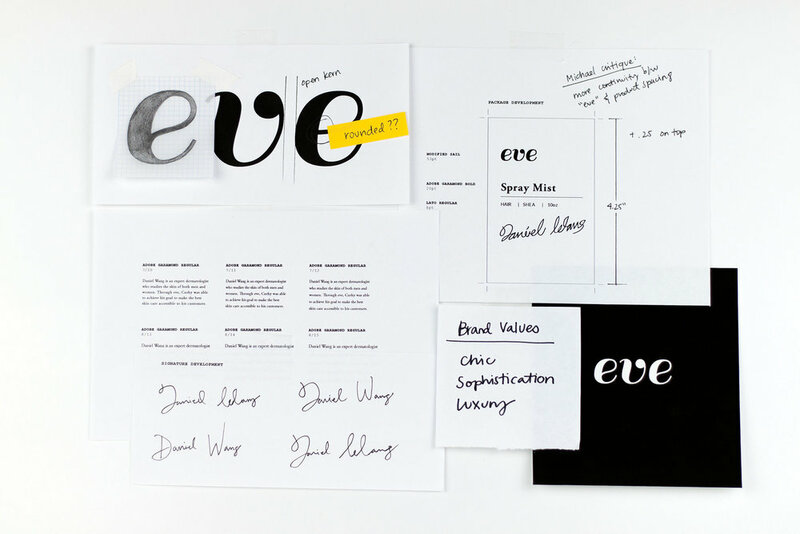 The Eve logo was customized to convey ease and elegance; the counters of the "e" were rounded and curved into the body of the letter, lending it a sense of femininity.